The Fern Hotels and Resorts has big plans for 2019. Noshir A Marfatia, Senior Vice President – Sales & Marketing, The Fern Hotels and Resorts, says, “2018 has been largely good for the hospitality industry. Occupancy levels remained buoyant across most metros and Tier-1 and Tier-2 cities. Our resort properties also performed well. The domestic corporate and leisure travel segments saw good growths, as did international business and leisure travelers. To meet the increased demand for hotel rooms in most cities, new builds are opening every month. In our company, we opened over 15 new hotels in 2018, and are slated to open 20 new properties in 2019. Most international and local hotel management companies, including us, now operate multiple properties in many key locations (metros and resort destinations). Given this encouraging scenario, hotel tariffs will naturally be driven by market forces. But the main winners will be those companies like ours, that will charge judicious rates and not exploit or milk the demand-supply gap for short-term gains. ITC Kohenur will be opening its doors on June 1. The hotel offers 271 rooms, along with suites and serviced apartments which are one of the largest in the city. The dining options at ITC Kohenur feature new and award-winning restaurants brands. Addressing business and social needs, ITC Kohenur offers spaces that provide an ideal setting for any occasion. 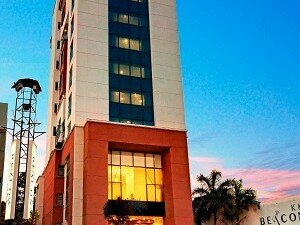 ITC Kohenur, Hyderabad will soon be opening its doors to the guests. With 235 rooms, 9 suites and 27 serviced residences, the hotel’s services and facilities are designed to meet the diverse needs of the traveller. The hotel offers number of fine dining restaurants ranging from globally acclaimed Dum Pukht to the robust hearty Ottimo to the classic and contemporary selection of Chinese cuisine at Yi Jing. The signature spa brand, Kaya Kalp – The Royal Spa is spread over three floors offering superlative wellness experience. The Orchard Retreat & Spa, Srinagar will be opening its door on 27th March, this year. Nestled in a serene apple orchard in Srinagar, The Orchard Retreat & Spa is paradise reimagined. Located just 40 minutes away from Srinagar International Airport, overlooking the breath taking Zabarwan Hills and Mount Mahadev, this stunning rersort offers design with luxury and exclusive comfort. Enjoy features such as butler service, swimming pool, massage, private villas, spa, sauna and steam showers. The Orchard’s unmatched level of service makes it unique and first of its kind.